As we approach the Thanksgiving holiday each year in the United States it provides us with a time to reflect on God’s goodness toward each of us, and gives us time to offer thanksgiving to Him. If we were to put ourselves to the task of focusing on what we are thankful for, I am sure that the list would be endless. Think about this for a minute and look at your life and all that is around you. What can you thank the Lord for? It seems a lot easier to focus on what we don’t have or our circumstance than simply thanking God, doesn’t it? You may be reading this from somewhere other than the United States, but you can still have a day (really everyday) that you set aside to thank God. In America we tend to forget that the first Thanksgiving, and the history surrounding that time period, is vital if not the most important part of our country’s heritage. So important that we need to teach our children, family, friends, etc. about the importance of it. I really believe that Thanksgiving represents the beginning of our freedom to worship the Lord our God along with many other freedoms we have here in America! I know that at times it doesn’t seem that we have total freedom, but we do. This is especially true compared to those in other countries. We can own a Bible to read, study, and share with others. We can attend church pretty much anywhere we please. The list goes on and on. I also think of the true hardships that the Pilgrims went through in order to flee persecution and to make a new start here in what was to become a new nation! Every time we open our Bible and worship in freedom we should do it with thanksgiving to the Lord and in a sense in memory of those that fought for what we now so easily take for granted: freedom. It is not what we deserve but we have been blessed with it from the depths of God’s amazing grace and love. Let’s not forget that we have freedoms that others have not been blessed with. Let us be grateful and not misuse these blessings. I often wonder why sometimes it takes a holiday for many of us to remember to thank God for what we have been richly blessed with. This holiday isn’t merely a day to indulge in the wonderful feasts. It’s not just another day to spend watching sporting events on TV or the many parades. It is truly a day we can take advantage of and use to focus on thanking God. Globally as believers, we all can have a "Thanksgiving" everyday as we remember all that God has done and is continuing to do in our lives. 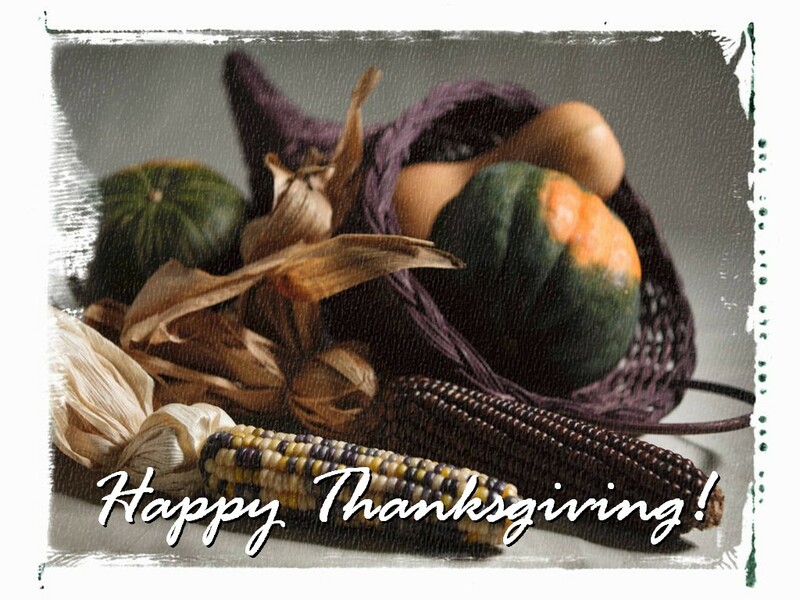 I am grateful as a believer who lives in America, that we have a day set-aside in remembrance of Thanksgiving. I pray that everyone will come to know the true meaning of Thanksgiving and that we’ll show our gratitude to God everyday no matter where we may be. Now for everyone that might be facing hard times and feel that you have nothing to be thankful for, or that you are alone; always remember that there is someone facing those hard times with you. Jesus is always there in the good and the bad times so you are not alone! I know first hand that this is very hard to remember when we are in the midst of our struggles. It is so good to know that the Lord is always with us. Let it also be a reminder for us that we are to be thankful in all things. Again, no matter what our circumstances. This Thanksgiving I pray that you’ll have a wonderful time reflecting with much thanksgiving and joy. I also pray that you’ll come away with a renewed and fresh perspective on God’s great love and goodness that He has for you and everyone on the face of the earth. -Do you have an attitude of thanksgiving? -Do you have a grateful spirit? -Do you make thanking God a priority? -Do you lift up praises to Him on a regular basis?